The almond, a delicious, nutritious nut, grows inside the inedible fruit of an almond tree, a plant related to peach, apricot, and other stone fruit trees. There are two main varieties of almonds: sweet and bitter. Sweet almonds are the kind you can buy at the store and eat, while bitter almonds, which contain toxic chemicals, are considered unsafe for eating. Almonds, which are native to the Middle East and South Asia, can be finicky plants to grow without a suitable climate or proper care techniques, almond trees may struggle to survive, let alone bear fruit. The almond (Prunus dulcis, syn. Prunus amygdalus, Amygdalus communis, Amygdalus dulcis) (or badam in Indian English, from Persian: بادام‎) is a species of tree native to the Middle East and South Asia. 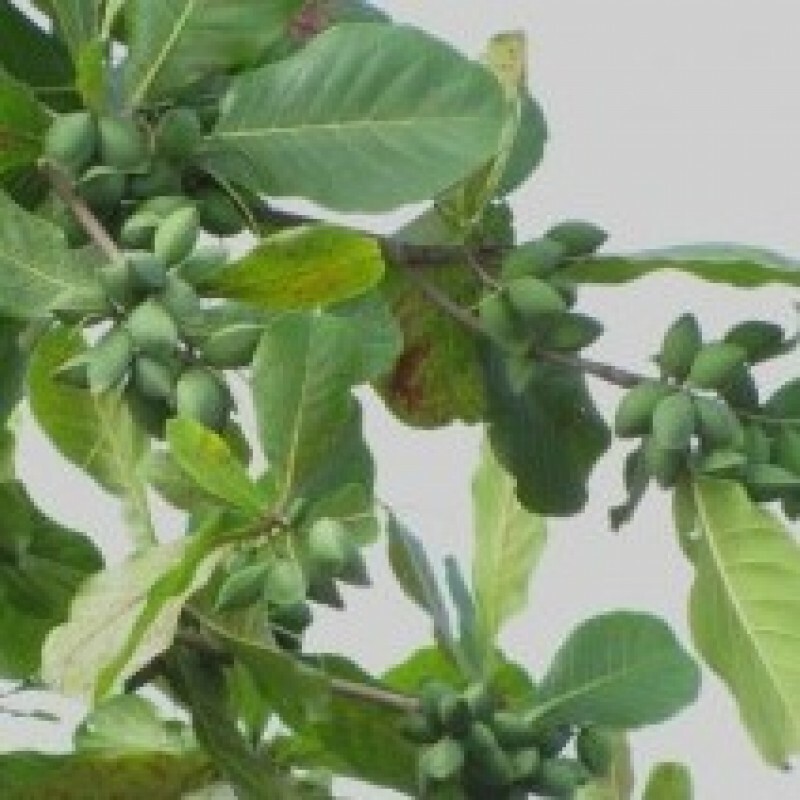 "Almond" is also the name of the edible and widely cultivated seed of this tree. Within the genus Prunus, it is classified with the peach in the subgenus Amygdalus, distinguished from the other subgenera by the corrugated shell (endocarp) surrounding the seed. The fruit of the almond is a drupe, consisting of an outer hull and a hard shell with the seed (which is not a true nut) inside. Shelling almonds refers to removing the shell to reveal the seed. Almonds are sold shelled (i.e., after the shells are removed), or unshelled (i.e., with the shells still attached). Blanched almonds are shelled almonds that have been treated with hot water to soften the seedcoat, which is then removed to reveal the white embryo. When growing almond trees, it is helpful to know that the trees do not tolerate overly wet soil and are extremely susceptible to spring frost. They thrive in mild, wet winters and hot, dry summers in full sun. If your region does not fall within these parameters, it is unlikely an almond tree will set fruit for you. Additionally, very few varieties of almond tree are self fertile and, therefore, need cross pollination for fruit production. So, you will need to plant at least two trees. If space is at a premium, you can even plant two in the same hole, wherein the trees will grow together and intertwine, allowing the flowers to cross pollinate. Almond trees are deep rooted and should be planted in deep, fertile and well draining sandy loam. Almond trees should be planted 19-26 feet apart and irrigated despite the fact that the trees are drought tolerant. An application of nitrogen and organic fertilizer will aid in growth. These trees have high nitrogen (N) and phosphorus (P) requirements. To plant the almond tree, dig a hole wider than deep and make sure the roots fit easily into the depth of the hole, then water in deeply. You may need to stake the little tree if you live in a windy area, but remove the stakes after a year or so to allow the tree proper growth. Almond tree care varies according to the season. In the winter or dormant season, the growing almond trees should be pruned (December/January) to promote growth, allow light, and remove any dead or diseased limbs or suckers. Clean the area of debris around the tree to eliminate overwintering navel orange worms and spray with dormant oil to kill peach twig borer, San Jose scale and mite eggs. During the spring bloom season, care of almond trees should include fertilization of mature trees with urea or manure, watered in or small doses of nitrogen for young trees. Drip irrigation should be initiated daily for those newly planted, with the trees needing at least 2-3 inches of water. Established trees can get by on 2-3 inches of weekly watering in the absence of rain and may require additional watering during times of drought. Also, if the tree is planted in shallow or sandy soil, it will need more water. During the summer, continue to irrigate and fertilize at the same rate as the spring application up until harvest. The harvesting of almond tree fruit occurs after the hulls split and the shell becomes dry and brown in color. Almonds need 180-240 days for nuts to mature wherein the nut (embryo and shell) has dried to minimum moisture content. To harvest the almonds, shake the tree, then separate the hulls from the nut. Freeze your almond nuts for 1-2 weeks to kill any residual worms and then store in plastic bags. Lastly, when caring for almond trees, spray the trees during or after the leaves drop in the fall before the winter rains. This will reduce the damage from shot hole fungus in the spring.